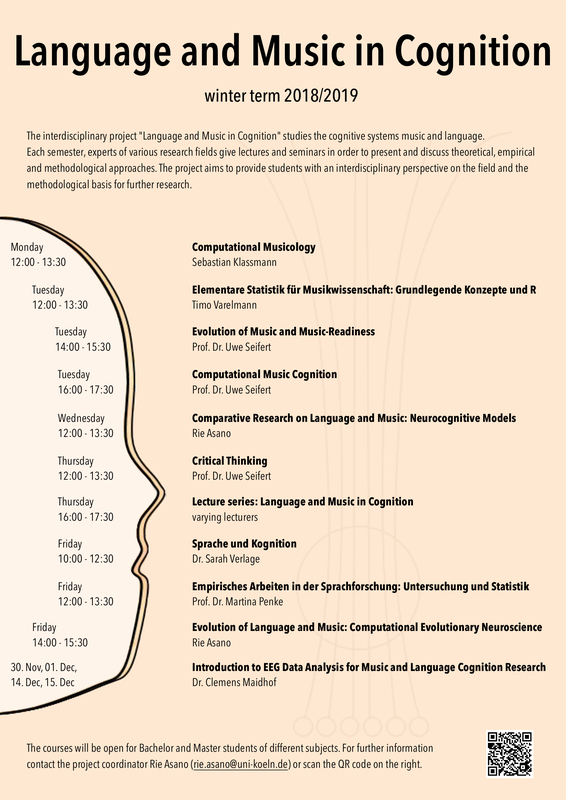 During the upcoming winter term, the interdisciplinary project „Language and Music in Cognition“ once again offers many interesting courses for Bachelor and Master students. Find attached an overview of all lectures and seminars, amongst others an introductory lecture series and methodological seminars discussing EEG data analysis or empirical research in linguistics. This entry was posted in All events, General, MusiCoLinguistics-News, News by rie.asano@musicolinguistics.de. Bookmark the permalink.